Manufacturer of a wide range of products which include hydraulic power packs. 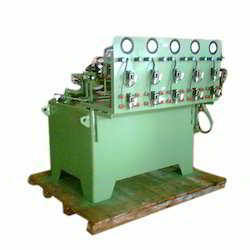 With our immense domain expertise, we are involved in offering Hydraulic Power Packs. It changes mechanical rotary energy to fluids energy, with diverse prime movers such as electric motor or engine. Easy to use, this product shows a right blend of technology, design and heavy-duty. These power packs find industrial applications like clamping, rotation, actuation and lifting in different industries. Offered range is demanded among customers due to its features like maintenance free, longer working life & impeccable performance.